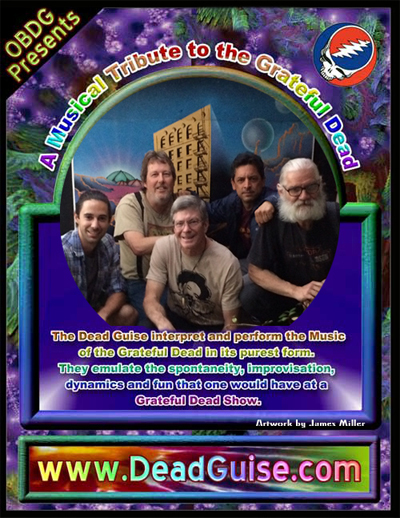 The Dead Guise are a band dedicated to carrying on the tradition of The Grateful Dead. At the heart of that tradition is the incredible amount of energy shared between band and audience at a live show. Currently, it is made up of a multi-generational group of experienced musicians: Ken Younger on lead guitar / vocals, Bill Desmidt on rhythm guitar / vocals, Michael Mares on keyboards / vocals, Wolf Bostedt on bass guitar, and Kyle Walsh on drums.